The music scene on Waiheke used to be dominated by older white guys playing the blues but in more recent times that's changed with some great new and recent releases from Waiheke musicians. Three Legged Horse (pictured above) are a trio that are greater than their constituent parts. Bede Taylor writes deep self-searching dark lyrics which are balanced by the musicality and instrumental prowess of Aaron Carpenter (also a popular solo act on the island) and Gina Higham's amazingly talented vocals. The bill themselves as alt-country grunge blues and all of these elements can be heard on their debut album Down. The full album is available to listen to online and can be purchased on the same site. I recommend taking a listen to an in-depth interview with Bede Taylor recorded by Waiheke Radio and you can also watch the video for album track 'The Roses Song' on the video page. Selina Tusitala Marsh is a poet, an academic, and the first person of Pacific descent of graduate with a PhD in English from Auckland University. She also lives on Waiheke Island and there is a track from Fast Talking PI, the Book and CD she has just released, that is all about our island. It's called Chant From Matiatia to Orapiu, a lyrical tour of Waiheke with Tusitala Marsh accompanied by musical backing by Tim Page. You can hear that piece on the podcast and the via the New Zealand Electronic Poetry Centre a recording of the the title track is available for download (mp3). There is an in-depth interview (mp3) with Selina available from National Radio. 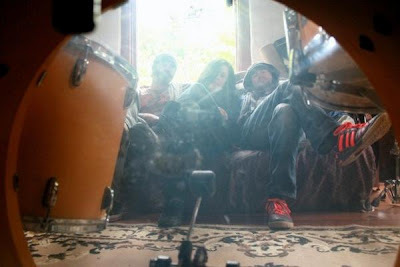 Optimus Gryme is the latest musical incarnation of Waiheke musician Charlie Brown. 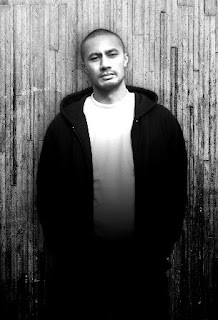 Charlie has been making music for over a decade, dabbling in hip-hop, breakbeat, drum and bass, and now, as Optimus Gryme, dubstep. He released a four track E.P. titled Annihilation of the Ego late last year and the track Immortal received quite a bit of airplay around the country. The E.P. is diverse with some tracks heading more in a dub direction, and others the dance floor, with the diversity adding to it's appeal. It has also been released on vinyl. There are videos from Optimus Gryme on the video page. So, there you go. A little taster of the some of the latest musical talent from the home of Counting The Beat, Waiheke Island.